is shining on me and the friends I love. we are all joined together by the light in the dark." Friendship comes in all shapes and sizes. It can be found in the most unusual places or develop out of the strangest of circumstances. When I was asked to write about a treasured friendship for the purpose of this post, I started to consider all the special friendships in my life. Relationships spanning decades, those developed at University, those born out of having babies and of course friendships within my own family. Maybe the Moon subtly shows friendship in its many different forms, a hand held between a mother and child, the quiet companionship of a pet and time spent simply playing games in the park. Undoubtedly my favourite element of this touching story is the message that wherever we are, we are all united under the same sky and one moon making it perfect for families that may not always be together or that are relocating for any reason. Maybe the Moon has already found a special place on our bookshelf as the majority of our family live many miles away. 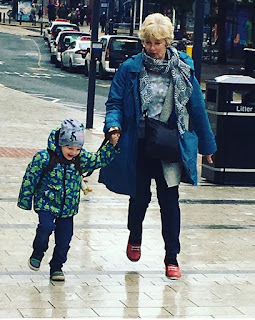 Despite the distance, the Mini Reviewers have close relationships with their grandparents but Theo in particular "treasures" his Little Grandma. She is his special person, the one he wants to talk to whenever he has any news, however insignificant it may seem, or when he feels sad or poorly and needs cheering up. He likes to keep her fully informed of any new developments and so this week when he found his first conkers of the season, he insisted on telephoning her straight away. He couldn't even wait until we got home. 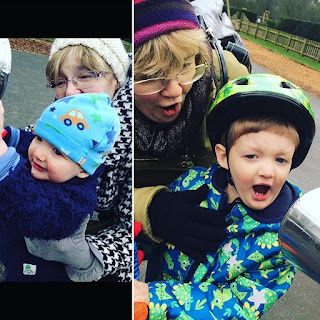 Conkers are clearly incredibly important to a 4 year old and, as always, Little Grandma enthusiastically shared in the excitement of his discovery! 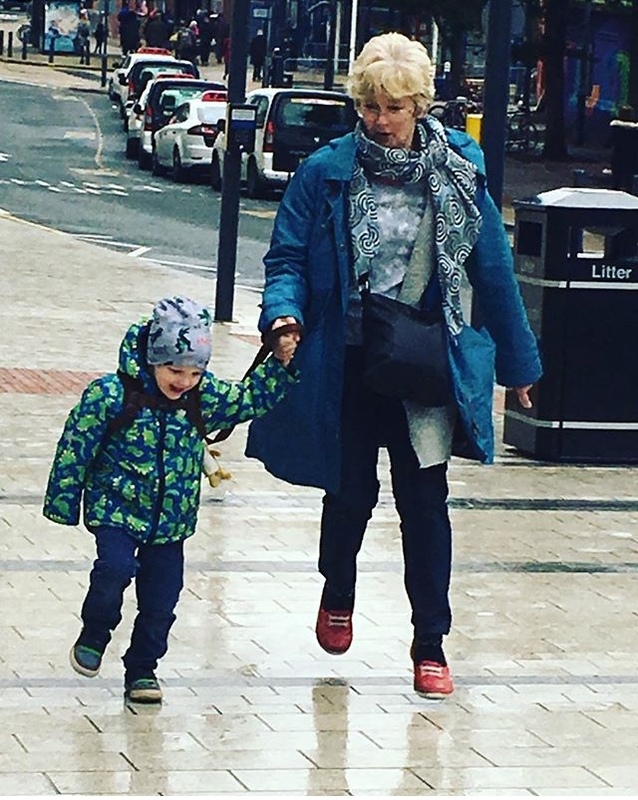 Now, if you asked Theo what was special about Little Grandma, he would probably say she has the BEST ideas, buys the BEST biscuits (Bourbons), plays the BEST games and of course, reads the BEST stories. But she also lets him get away with a lot more than Mummy ever does, although she would never freely admit this! And of course, next time she visits Theo plans to share his special new story with her. Maybe The Moon is out today. We hope you enjoyed our post and don't forget to check out the fabulous posts from all our Blog Tour Buddies, I have included the links below. Until next time... Happy Reading! 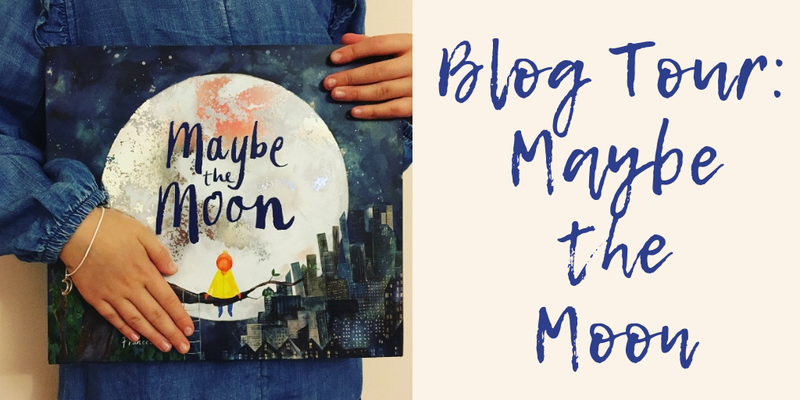 Disclaimer: We received a copy of Maybe the Moon for the purpose of this post, all opinions are as always our own.